Cherished Blossoms’ Luxury Life Coaching packages feature single or multi-day retreats at the Corinthia Hotel in London. Clients will receive coaching from Cherished Blossoms’ founder and life coach Cynthia Jackson and will learn how to improve health and well-being, gain self-confidence, rediscover their purpose in life, and more, all while enjoying pampering at Espa Spa & Leisure at the Corinthia. Five different packages are available to meet clients’ needs, and dates are flexible. For those looking for more focused sessions on health and wellness, Cherished Blossoms offers two packages to meet clients’ needs. 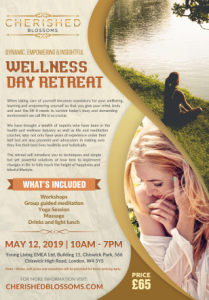 The one-day Luxury Wellness Retreat will be offered on May 12, 2019, and can accommodate single registrants or small groups. This retreat will give attendees strategies to rejuvenate their mind, body, and soul so they can lead happier and healthier lives. For those looking for more comprehensive services, Cherished Blossoms will soon be launching 4-day international Luxury Wellness Retreats as well. To learn more about Cherished Blossoms and all of its services, and to schedule, a life coaching or wellness retreat, visit https://cherishedblossoms.com/. About Cherished Blossoms: Cherished Blossoms is a London-based provider of lifestyle services including luxury life and health coaching, floral arrangements, event planning and hamper gifts founded by Cynthia Jackson, a certified life coach. 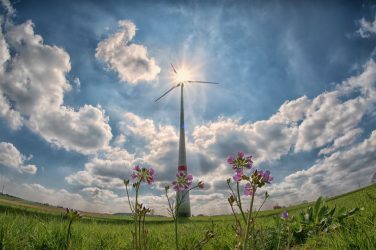 The company infuses all services with simple luxuries any client will appreciate and delivers them with the utmost professionalism while exceeding their clients’ expectations, every time. To learn more about Cherished Blossoms and all of its services, visit https://cherishedblossoms.com/.